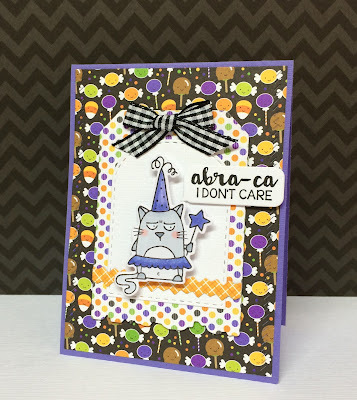 I had some time today to play with new stamps and dies in my craft room. I recently got this new stamp set from Taylored Expressions called "grumblings in costume" with the matching dies. It's so much easier to cut the images out with the matching dies. The tag set is also a new one from Taylored Expressions called tag set #5. It comes with all these other pieces to make Halloween tags. 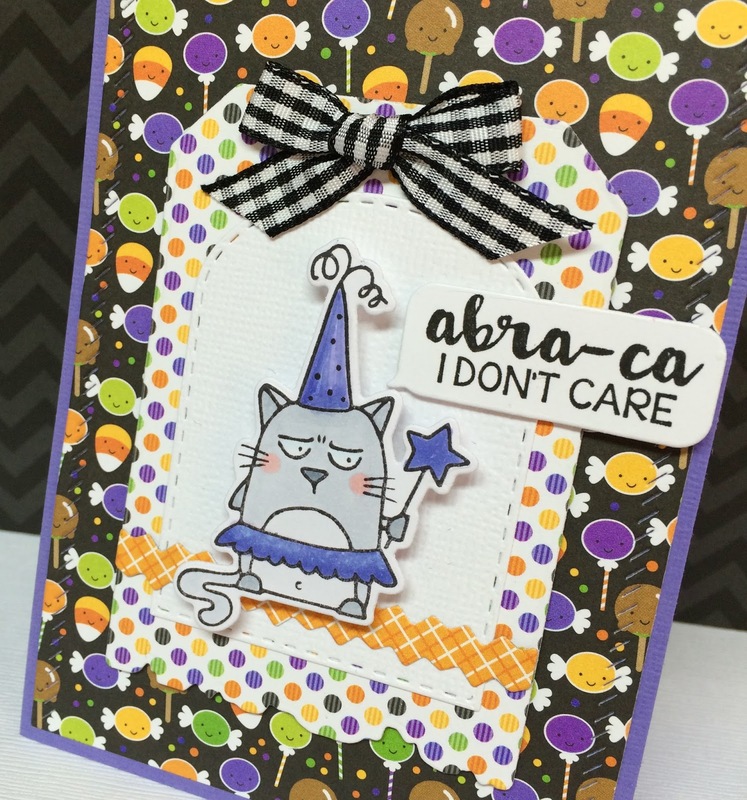 The paper is from Doodlebug Designs from last years Halloween release. I am waiting to get my hands on this years release which is shipping this week. They have the cutest designs! Here's a closer look at the card. You can see all my coloring outside of the lines. Lol! Tonight is extremely hot and humid and I'm on my 4th popsicle. Love, love, love this cutie-patootie card! I will have to check out the Taylored Expressions site. Is it time to make Halloween stuff already?